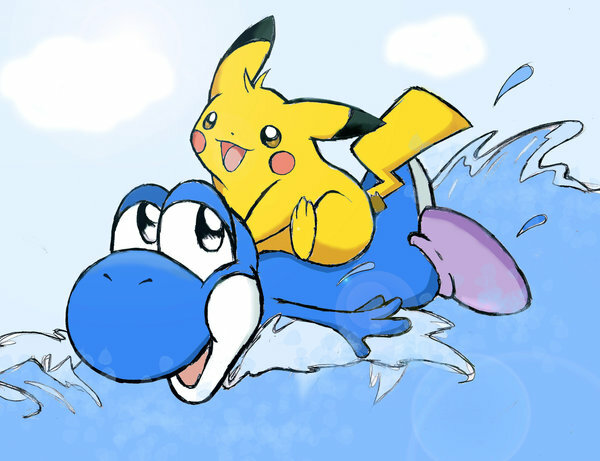 Pikachu riding with Yoshi. From devianart by shiroiwolf. Wallpaper and background images in the Pikachu club. This Pikachu photo contains anime, comic book, manga, and cartoon.